Thanks Paul. I took a look, but it is awfully limited. You cannot weld shapes together it seems. It is almost easier to do the designs manually in MTC. It is just another 3d program I can't get my mind around. It's all @Di-lite fault she put up a complicated half a pentagonal dodecahedron exploding box and silly me I thought designing is 3d would make working out angles of the sides easier ? Thanks for making this post! It'll be interesting to see if the programs expands based on user feedback... we all know that we always need more, right? It looks to me like the templatemaker site will let you easily design 3D things of nearly every imaginable shape and what ever size you input, with fold lines and glue tabs included - and its free! I do think it is terrific that Silhouette has added that software option to its package, it opens up lots of new opportunities of creativity to its customers. They truly needed to do this to keep up their sales with the competition of 3D printing now coming on so strong. Visualizing 3D on a flat screen. Hmm well doing such a thing by looking at 2D views of a 3D object and then understanding which item from a list of choices of views is the correct view of the unseen side is actually part of the standard IQ tests. It is also exactly the kind of brain exercise that helps stave off Alzheimers. So I would say give it a try because it is very good for you to design such things. This means that doing such work is both an innate skill that comes fairly easy for some people as well as being an acquired skill that can be developed as a young child by playing with things such a building blocks and Legos or by putting together things such as model car kits that have a lot of pieces. If you are going to use a 3D CAD program it is easier to visualize 3D objects as you design them since you can spin that 3D object around and actually look at all sides of it. Sure you might be clumsy at it and a bit confused by the programs at first because there are learning curves to these things. But don't give up, just expect to have to go through that learning curve and push on through that phase until you become comfortable with the software. Such programs are becoming more user friendly every year and there are quite a few free apps for them nowadays. But you will only get fairly basic shapes functions with the free or low cost versions. The photo below is the latest project I created in my 3D CAD program which is not a low cost or free program as it is professional software designed for engineers and product designers. But at least it is affordable for students and teachers It does unfolding as well as flat patterns for curved shapes if I design in the mode for sheet metal work. Instead of using one of the standard sheet metal thickness choices I specify the thickness of the cardstock I am working with. But more typically I just rotate the pieces at the corners to create the 2D patterns. There is a tool in the program that I can engage which will rotate a piece to lie flat in the same plane as the piece you selected with that tool. Designing in 3D is my brain candy, fun to do and enough of a challenge that it is rewarding for the efforts I put into it I do admit to having been good at that section of the IQ test where you figure out what that unseen side was going to look like. Maybe that is why I enjoy designing in 3D and never found it to be overly difficult. Model Maker will cost $50 to get the license. I would only see one reason to pay that for this software - if you could use it at as s pass thru to convert sil files to svg. It was not intuitive, could not weld shapes and only unfold preset 3d shapes. I am using Ironcad. Great software, and it is very intuitive to use. They have all the online tutorials you will need posted on youtube. Free 30 day trial!!!! I believe the student pricing is only $124.00. You won't have any trouble with X,Y,Z with this program as it uses a unique global axis feature called the Tri-Ball to move things around. It is such a clever device, no other program has anything like it. 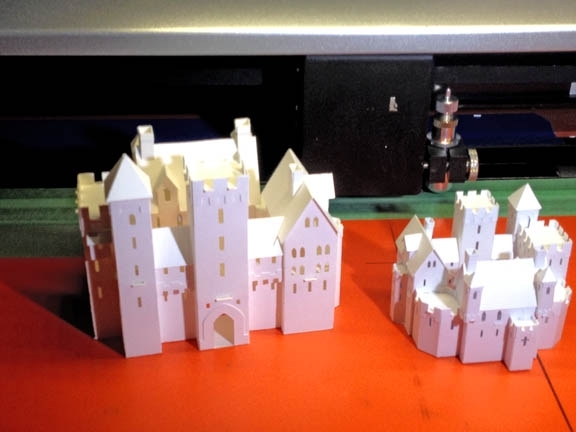 I've just learned about Sil's Model Maker software and was happy to find this thread here to hear about the pros and cons. 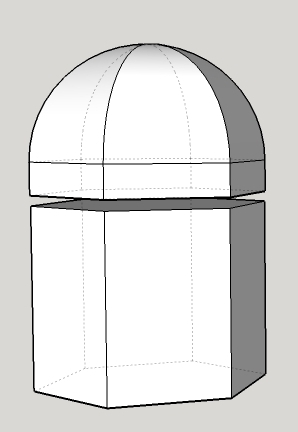 @Crazy_Mr_Zing Did you ever re-visit your 5 sided dome lid? @kb25t17 That castle is some wicked brain candy! 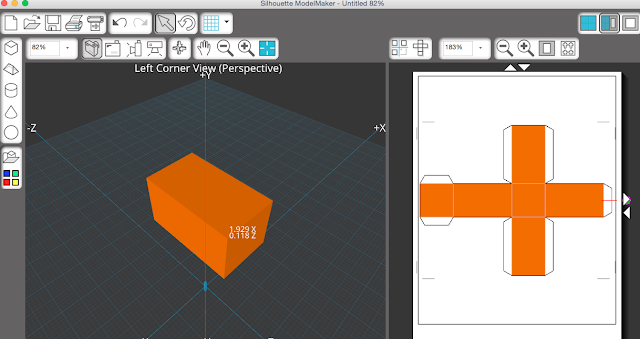 Does your CAD software help you create glue tabs too? I use Adobe Illustrator and love making 3D items too. Here's my latest - a 3D cactus and terra cotta pot that's perfectly circular, and holds treats with a locking tab. Somehow I don't think Model Maker would be up to this challenge! Not I haven't revisited the domed lid box . I got sidetracked and sort of forgot . How does it compare to Pepakura? Love the cacti - they work a treat. 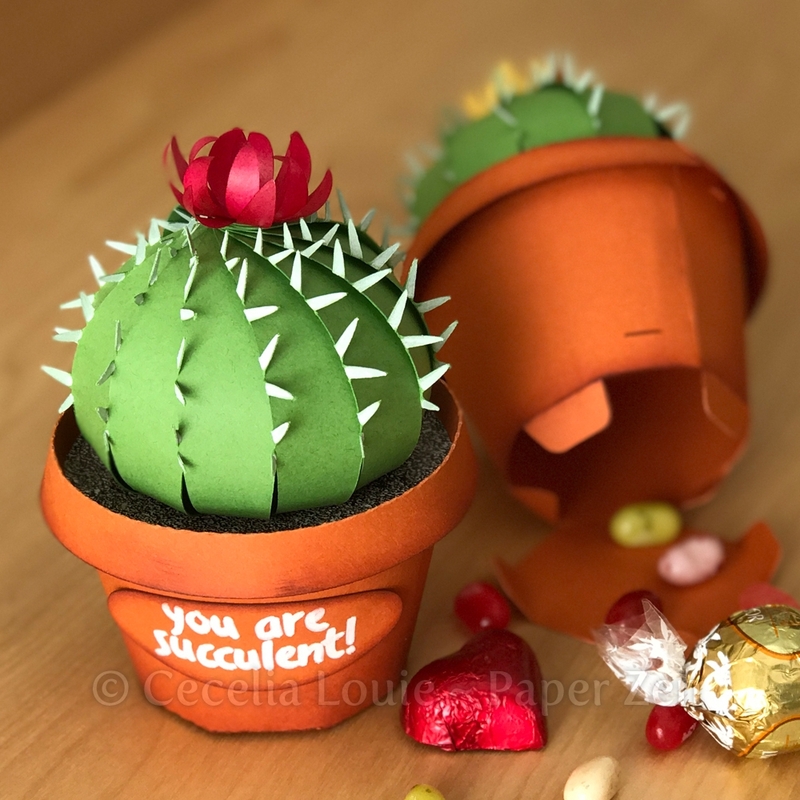 Wow, you guys are so far over my head I am drowning but I love that we have such intelligent people on this forum, and I LOVE the cactus design. Do you sell your files? A few simple tools can make all the difference when folding very small pieces. You support the bend lines. If you were making a big box out of metal you would be supporting the bend lines while folding on them. So you just take the concepts of how flat pieces are supported while folding and use that knowledge but do it with little tools.